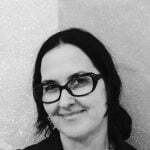 Son Vivienne is a Post-Doctoral Researcher at Creative Agency@RMIT and the Digital Ethnography Research Centre. Their principal expertise is digital self-representation, online activism, queer identity, and rhetorical strategies/feminist practices for speaking and listening across difference. Son is also involved in community development and arts as an activist, workshop facilitator and media-maker. Son is author of Digital Identity and Everyday Activism: Sharing Private Stories with Networked Publics (Palgrave Macmillan) and co-author/co-editor of Negotiating Digital Citizenship: Control, Contest, Culture (Rowman & Littlefield). Son curates several collective storytelling websites for queer (www.rainbowfamilytree.com) and gender-diverse (www.storiesbeyondgender.com) communities and has over twenty years of multi-media production and distribution experience. 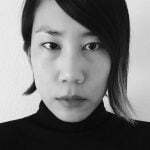 As an award winning writer/director/producer of drama and documentaries, they tackled subjects as diverse as youth suicide; drug cultures in Vietnamese communities; and lesbian personal columns. Their film work includes multi-lingual (Vietnamese-English and Adnyamathanha-English) and multi-modal (animation, micro-docs, digital storytelling and interactive web-platforms) projects that reflect their comparative, cross-cultural and critical approaches to communication and storytelling. You can contact Son via their website at www.incitestories.com.au or twitter @sonasterisk.